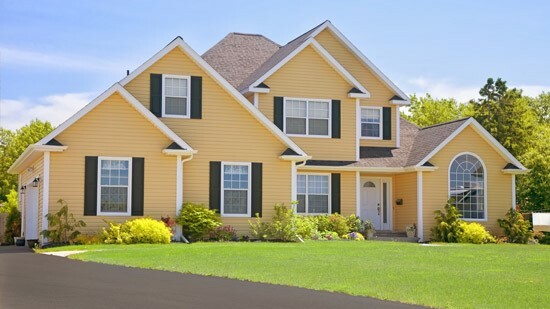 Let our Everett professionals handle all of your exterior remodeling projects. The doors in your home play several important roles—from greeting your friends and family to keeping out unwanted intruders. In order to ensure that your home is as beautiful as it is safe, our solid and attractive doors are engineered from only the highest-quality materials. Not only are they guaranteed to stand up against the toughest elements, but they also add tremendous curb appeal to your house! When it comes to Everett replacement windows, we have one of the largest selections in the area. If you feel overwhelmed by all of the options, don’t worry! One of our talented designers can sit down with you to help you choose your ideal color, finish, and hardware to ensure a perfect fit for your home—as well as your budget. Although it might be one of the last home improvement projects on your list, don’t underestimate the importance of gutters. Your gutters protect your home from the elements by redirecting the flow of water away from your foundation instead of letting it accumulate and flood your basement. With our professional gutter services, we can repair and install new gutters that will help ensure the structural soundness and comfort of your home for decades to come. No matter which of our exterior remodeling products and services you need for your home, contact Tristate Roofing today to get started on your project. You can call to ask our certified specialists any questions you may have about our different products. If you are ready to request a complimentary project quote, please take a moment now to complete our simple online form.